The 400-page net neutrality order released by the U.S. Federal Communications Commission includes a long legal defense of the commission’s vote last month to reclassify broadband as a regulated telecommunications service. The order, released Thursday in the wake of the commission’s vote to approve net neutrality rules in late February, establishes “clear and enforceable rules” to protect consumers, an FCC official said. The FCC order includes a history of net neutrality efforts at the agency as well as a lengthy justification for the rules and an analysis of potential legal issues. Long statements from the agency’s five commissioners run from pages 314 to 400 of the order. The document, in several sections, points to legal grounds for its action from three sections of the Telecommunications Act as well as past court cases. 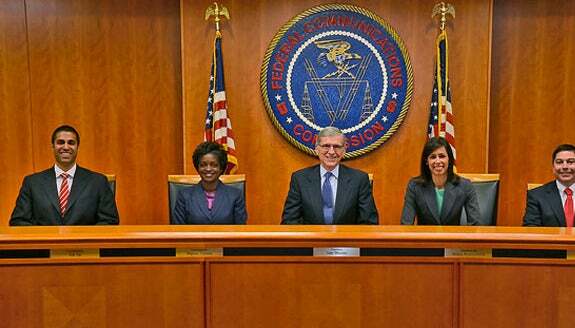 The FCC invoked “multiple, complementary sources of legal authority,” the document said. The document “only confirms our fear that the commission has gone well beyond creating enforceable open Internet rules, and has instead instituted a regulatory regime change for the Internet that will lead to years of litigation, serious collateral consequences for consumers, and ongoing market uncertainty,” the National Cable and Telecommunications Association, a trade group representing large cable providers, said in a statement. Senior Republicans in the House of Representatives and Senate also criticized the FCC order, and called on Congress to pass a six-page bill that would enact limited net neutrality protections. They also pointed to President Barack Obama’s endorsement of net neutrality rules that reclassify broadband as a telecom service. — The commission will allow broadband subscribers and Web companies to file complaints about net neutrality violations. A description of the complaint process runs from page 104 to 118.